1. I made General Tso's chicken for the first time. This is my absolute favorite Chinese dish, I love anything spicy! It was soooo good. I didn't spend hours on it, I just used a General Tso's seasoning packet from Kroger and made the sauce, then poured it over the chicken pieces I had cooked. It was super easy. Recipe here. 2. Spending time with my precious Xavi. I cannot get enough of him. Hard to believe he's already 2 months old! 3. New running friend. We met on Instagram, and she lives in my town! We're already planning some fun adventures. 4. I just have to share this pic. I'm so sorry. 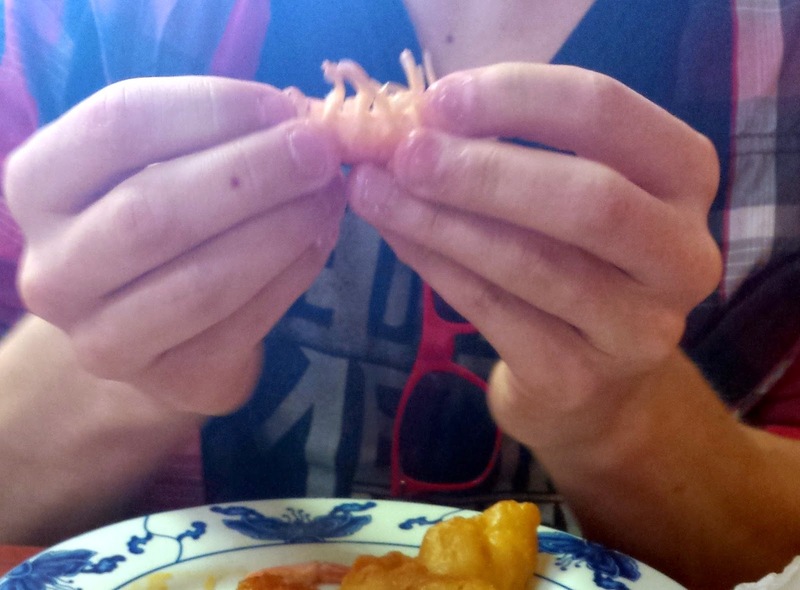 I seriously get nauseous watching him eat these things. I can't even. I mean, look at those little legs! I would rather starve. 5. 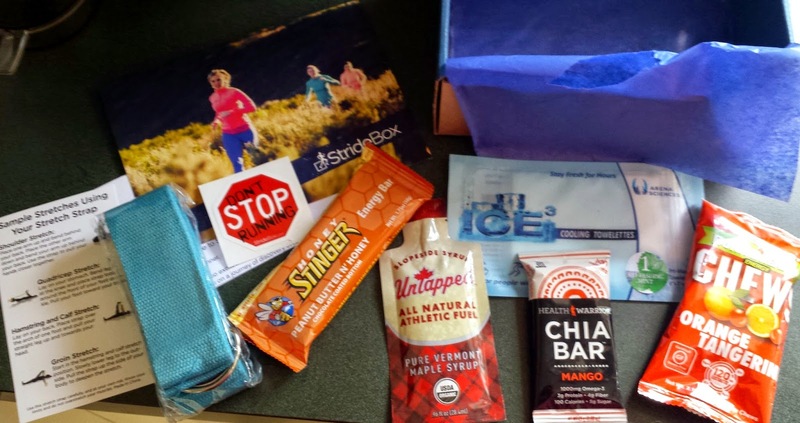 My first Stride Box! So many fun goodies. I will be using some of these on my long run today. This weekend is going to be a happy/sad one for me. I'm going to a friend's wedding Saturday, and then Sunday going to my former Pastor's funeral. He was my pastor for 11 years and just an amazing man. One minute he was in his office preparing his sermon, the next minute, he was gone. He was 75, and in great health, it was just his time to go. The last thing he had written down was "you do not know what will happen tomorrow. What is your life? It is just a vapor..." (James 4:14) Wow. So, I'll be doing my 10 mile run today, since it'll be a busy weekend! I like a little bit of kick but nothing spicy. I tend to get orange chicken and sweet and sour chicken but I like sesame chicken as well. 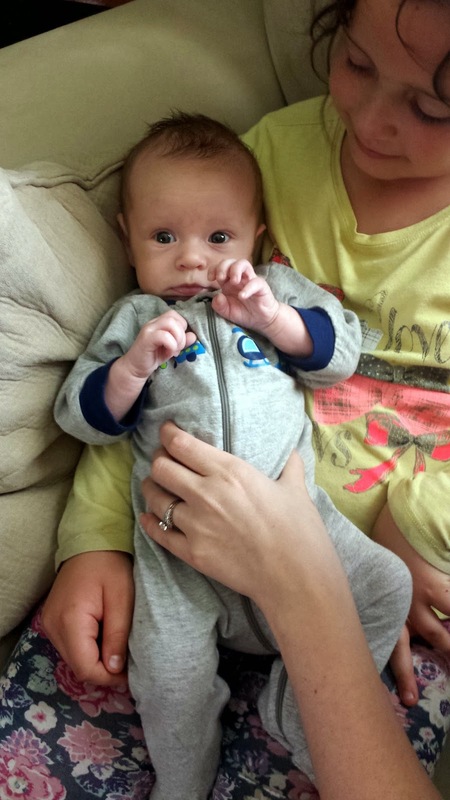 Your nephew is just so dang cute! I can't believe he's 2 months old already! 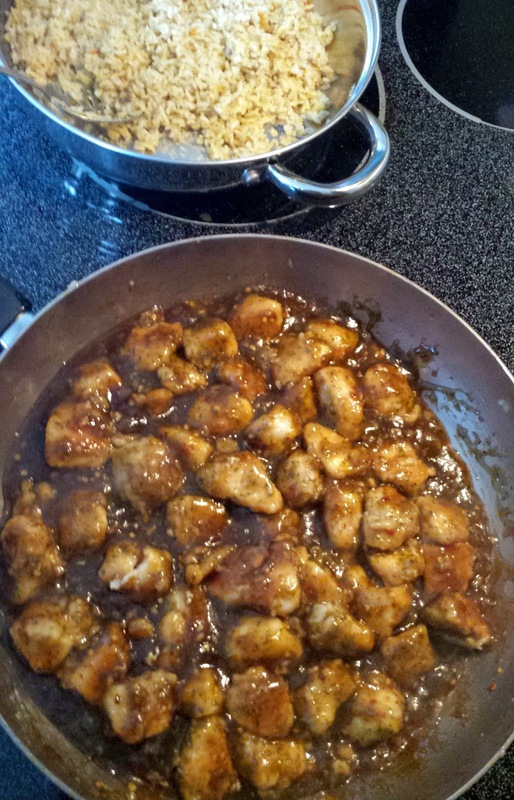 Katie, your General Tso's Chicken looks amazing! I had no idea they had the seasoning for this at Kroger; I'll have to look for it. I'm sorry to hear about the loss of your pastor; glad you'll be able to participate in the service, and I hope you enjoy your friend's wedding. I'll be running 10 miles tomorrow, as well; I'll think about ya! Have a great weekend! Let me know if you try it, Tara! 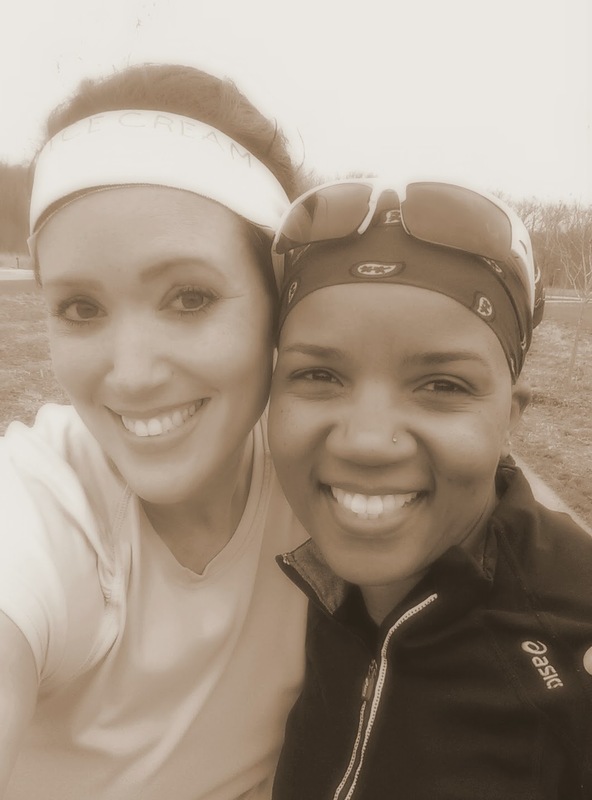 Hope you have a great run and a great weekend! Have a great weekend Katie! I like sesame chicken and sweet and sour chicken. Now you've got me wondering if they have other sauces at Kroger. I'm going to have to check that out tomorrow! 10 or so miles tomorrow. Last long run before our next half! Have a good weekend! 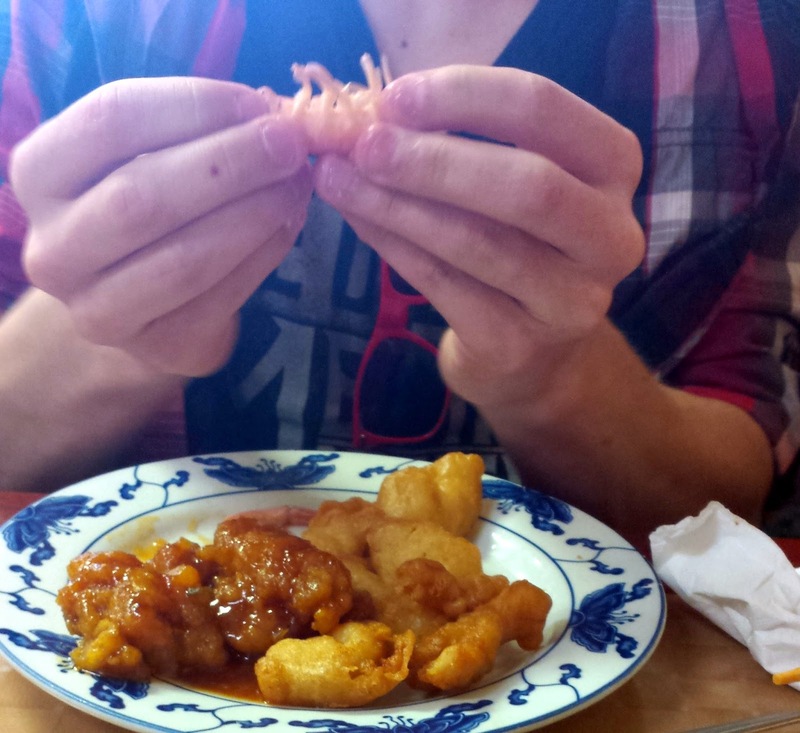 Sweet and sour chicken is a favorite of mine too. I hope you can find them at Kroger. Hope you had a good weekend Jen! So glad you have a new buddy to run with!!! I don't know what it is either! I'm the exact same way, if it looks the same as it did when it was alive, no thank you. I can't do it. It was hard sitting across from him, for sure!